Well'tis now the hour. Ill things have power. So do Witches and Warlocks, Ghosts, Goblins and Ghouls. From The Ingoldsby Legends , 1907. 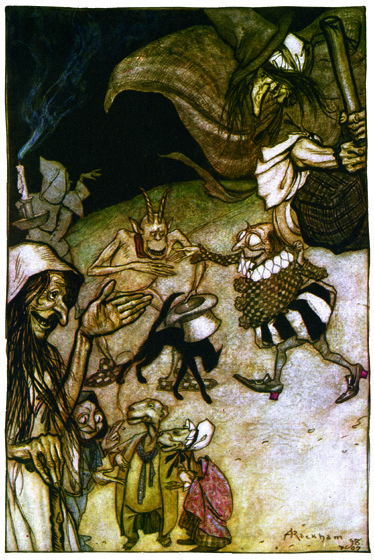 Arthur Rackham (1867-1939) is one of the few illustrators as skillful at showing us the visible world as the realms and inhabitants of the imagination.